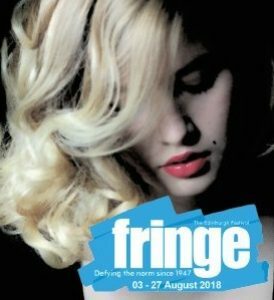 Sally Mortemore is heading to this year’s Edinburgh Fringe Festival in the world premiere of Vicki McKellar and Guy Masterson’s The Marilyn Conspiracy. The production explores theories surrounding the death of celebrated Hollywood star, Mailyn Monroe and is set to be a Fringe highlight. August 5, 1962. Marilyn Monroe is found dead! Official verdict: probable suicide. Seven people are present from 22:30 before police are finally called at 04:30. What do they discuss? In the style of 12 Angry Men, all the known facts are brought together, lies exposed, myths debunked. Was it suicide? Was it the Mafia… the CIA? Or was it Bobby Kennedy? With so many unanswered questions, this is the first time the probable truth has been exposed on stage. Revealing! Shocking! Brutal! Unmissable! Sally will be playing Marilyn’s housekeeper, Eunice Murray, who discovers her body, with Susie Amy, Oliver Farnworth, Gavin Robertson, Vicki McKellar, Martin Rossen and Angela Bull making up the company. The Marilyn Conspiracy has been directed by Olivier Award-winning Guy Masterson and will run from Aug 2-12, 14-27 at 13.45 at Assembly George Square Studios 1.